The Institute for Research Middle Eastern Policy (IRmep) regularly hosts or co-organizes conferences and events that are open to the public. Follow the links below to visit conference websites and videos. 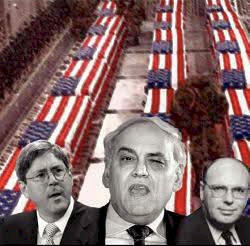 Theme: This unprecedented gathering focused on the Israel lobby in America. How big is it? How fast has it grown? How interconnected are the organizations and individuals? How much revenue does it raise and where does the money go? What are the common objectives of the lobby? What laws apply to lobbying to benefit a foreign government and are they vigorously enforced? Do coordinated campaign contributions cause American policymakers to act more on behalf of Israel than the United States? What fallacies underlie the assertions that U.S. and Israeli interests are the same? What are the Israel lobby’s public and private, short-and-medium-term policy objectives? And what can Americans who do not believe pro-Israel slogans, activities and policy objectives do? Theme: U.S. financial, military, and diplomatic support for Israel has grown significantly and steadily throughout the past 60 years and now dwarfs annual American foreign assistance to all other nations. Research indicates the U.S.-Israel "special relationship" is a major factor in foreign hostility towards Americans. Some experts suggest that Israel has been central to U.S. wars in the Middle East. However, the huge public backlash against Israel lobby-generated momentum for U.S. attacks on Syria and Iran indicates that Americans are concerned about the direction of U.S. foreign policy, how it is made, and those trying to make it. This historic summit will provide an in-depth, multifaceted inquiry into this critical subject matter. Panelists will include former military and diplomatic personnel, intelligence officers, scholars, economists, researchers and a variety of other subject-matter experts and authors often shut out of key discussions in public forums and news media outlets. Members of the public will be allowed to ask the key questions and network with other attendees. Theme: Author Grant F. Smith discussed key findings from his 2012 book, Divert! NUMEC, Zalman Shapiro, and the Diversion of US Weapons-Grade Uranium into the Israeli Nuclear Weapons Program at the Parks Township Volunteer Fire Hall. Smith's talk covered the corporate histories of NUMEC and Apollo Industries, how regulators dealt with the plant's massive losses of bomb-grade nuclear material, the FBI's investigation of NUMEC's joint venture with a front for Israel's nuclear weapons program, and the ongoing clandestine interactions of NUMEC executives with Israeli intelligence and covert nuclear weapons program operatives. Theme: Using a slide show of declassified documents and charts, Smith revealed how secret agreements and a joint Israeli embassy/AIPAC covert operation undermined US industries and the trade negotiating process. New quantitative analysis and disclosures reveal the US-Israel trade agreement is actually a $10 billion/year foreign aid program. Smith also discusses how major omissions in Dan Senor and Saul Singer's 2009 Council on Foreign Relations book Start-up Nation: The Story of Israel's Economic Miracle undermine their two major findings: that perpetual conflict gives Israel a comparative advantage and that the US should reinstate conscription in order to match Israel's entrepreneurial output. 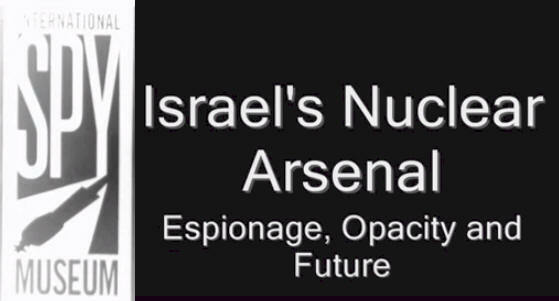 Theme: What do newly declassified documents about weapons grade uranium and dual-use technology diversions from the US reveal about the role of espionage in building Israel's secret arsenal? Did Israel's proposed nuclear weapons sales to apartheid South Africa signal they are still for sale if the partner and price are right? Do FBI and CIA cover-ups of investigations into Israeli nuclear espionage signal official US government approval or political acquiescence? Did cooperating with Israel's policy of "strategic ambiguity" ever make sense for the United States? Is the era of 'nuclear opacity" now coming to an end? Are Israel's nuclear weapons of strategic benefit to the US? 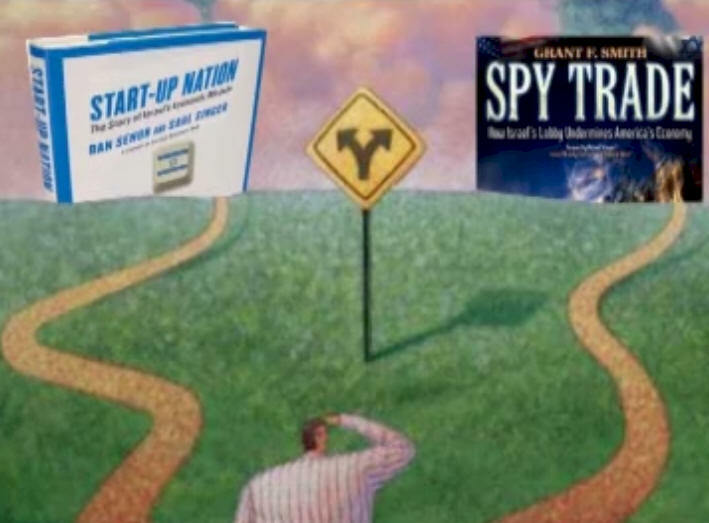 John Mearsheimer, Sasha Polokow Suransky and Grant F. Smith tackled these questions. Theme:"A Clean Break, A New Strategy for Securing the Realm" is an ambitious 1996 Middle East policy paper. A Clean Break recommended toppling the government of Iraq, "rolling back" Syria and Iran, and "electrifying" support for Israel in the US Congress in exchange for new missile defense contract opportunities. Three of the eight authors have since become prominent policymakers in the U.S. government. The study leader, Richard Perle, is the former chair and a current member of the Defense Policy Board of the Pentagon. Douglas Feith is Undersecretary of Defense and David Wurmser is Vice President Richard Cheney's recently hired Middle East advisor. But what is "A Clean Break?" What are the plan's core assumptions? How has it affected US regional policy? What insights does it reveal about US policy initiatives in the Middle East? How do Arab countries perceive current US regional policy? Are Clean Break assumptions and strategies beneficial to US interests? What are the potential costs? The IRmep Capitol Hill Forum took place on Wednesday, November 26th 2003 from 10 a.m. to 12 noon in the Gold Room of the Rayburn Congressional House Office Building. Our distinguished and diverse panel of experts and IRmep analysts reviewed the implications of A Clean Break and took questions from the public. Panel members included Adam Shapiro of the International Solidarity Movement, former congressional candidate and Million Man March leader Dr. E. Faye Williams, Muhammad Khaddam, First Secretary of the Syrian Embassy; Khaled Dawoud, D.C. bureau chief of Al-Ahram; and Adib Farha, adviser of the Lebanese Minister of Finance and professor at the Lebanese American University in Beirut, Lebanon.